Nightlife in Milan is top like Italians would refer to anything they truly love. One of the common activities to engage in on a night out in Milan is an aperitivo, also called aperitif or happy hour. The traditional Italian aperitivo is majorly made up of selected snacks like pizzetta (little pizza), traditional rolls and nuts. Westernization made aperitivo what is now commonly found today, that is, a choice of drink complemented with an endless buffet of tasty Italian cuisines and traditional desserts. Dining and drinking are what majorly constitutes Milan’s nightlife. At every bubbling corner of the city, you would find arrays of pubs and restaurants packed up with tourists and locals chatting over random topics. Occasionally, there are theatrical events in Milan and concerts that happen at the outskirts of town. Navigli is the most sought after location for aperitivo in Milan. Asides its canal, dining is what this area is most famous for. Lined up along both sides of the canal, you will find dozens of restaurants and bars that often offer aperitivo once the clock hits 18.00. Aperitivo at Navigli costs between €6 to €12. If you do not book a table in advance, it may almost be impossible to find a place. Two places I often frequent are Maranatha and Long Island because they have a fine variety of food always kept warm over a low burning fire. There are places like Zog where you can enjoy live music while sipping your cocktail, wine or beer. Colonne di San Lorenzo is an old Roman building located in front of the basilica. Young adults in Milan gather right in front of this building to drink. If you do not intend to drink almost to stupor or find yourself in the midst of clattering teenagers, then this may not be a place for you. Maybe I am exaggerating, but my first and only experience of clamour here do not make me wish to want to go back. Putting that aside, this is a nice spot if you want to witness some spontaneous group of international or local people drumming with buckets and sticks to entertain the people around. There are bars and restaurants around this area as well. Sitting by the canal banks to drink and have a late evening picnic with friends is one thing you can do. This habit has been internalized and you would often find locals and tourists wallow in it. 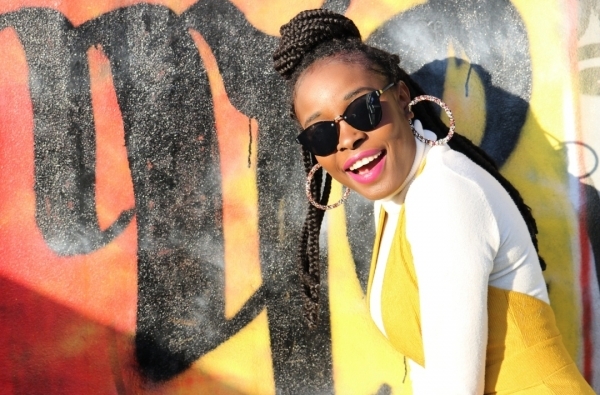 By the little arena to the corner, you would almost always find a group of young adults jamming to blues, rock or reggae music. You can patronize the food trucks and shops by the canal for finger foods or dine at one of the restaurants down there. Rooftops at Duomo like La Rinascente are elegant and sophisticated places to dine, they are other places where you can dance. Be prepared to spend a little extra, but most of the places are definitely worth it. The quality of services is top class and professional. If you are not buying into that idea, then enjoy free entertainment at the Piazza Duomo. Yes, there are often street artists who endear the hearts of passersby with good music or delight you with cool street steps and acts. One thing peculiar to Brera is the narrow walkways and cobblestones that makes you feel like you are in a small town that is somewhat detached from the rest of Milan. This area is perfect if you want to see some creative works and eat. 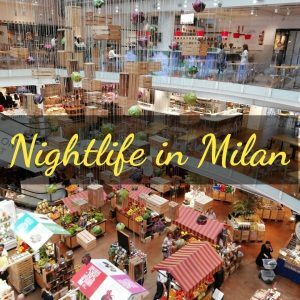 A vibrant area of Milan with a lot of bars and aperitivo places as well. This is a cool spot with Parco Sempione and Arco della Pace within easy reach. If your wish is to eat or simply drink, you will find quite some nice cozy areas here. The famous Just Cavalli dance club is also located in this zone. This is another nice area with Eataly and Princi in the area. Eataly hosts a collection of great Italian restaurants that offer farm-to-table services. At Princi, you can taste typical Italian pastries and have an aperitivo. Though a business district, this area comes alive at night with fancy restaurants like Bésame Mucho (a Mexican restaurant) to treat guests to a pleasant time. Even if you do not wish to eat or drink, these are great places to stroll by and simply explore at night.